Yutong rubber products adopt Chloroprene Rubber (CR) with good resistance to high temperature, weather and ozone, and natural rubber (NR) featuring excellent cold resistance, which have gone through rigorous testing in order to ensure the safety and reliability of the products. Tailor-made products boast more suitable and stable performance. With internationally famous brands and patented rubber formula, the product can adapt to a variety of weather and ground conditions. Adopting leading designs and advanced imported manufacturing equipments, and with mature and reliable processes, it features good safety and reliability as well as long service life after a variety of tests such as salt spray, blasting, dimension, stiffness, hardness, fatigue life and so on. The EPDM rubber hose boasts even thickness and smooth hose wall. The hose can work normally under the temperature range of -40℃-120℃, featuring high resistance to oxidation, corrosion and aging. Self developed by Yutong and produced based on the cooling layout of engine. The polyester cord with high modulus and low shrinkage enables the belt to resist thermal expansion and maintain tension. The rubber mixed with short fibers not only greatly enhances the transverse stiffness of the belt, but also boasts good resistance to wear, heat and oil. The patent tarpaulin cloth is treated many times, ensuring a reliable cohesion with rubber and avoiding falling from the tension pulley due to long-time friction. Four-layer or multiple-layer cord thread with even thickness Smooth inner wall surface. Yutong’s air inlet silicone hose of the engine boasts a very strong temperature resistance and can work under the temperature range of -40℃-200℃. The air inlet hose can withstand pressure no less than 1,200Kpa and has strong resistance to oxidation, corrosion and aging. The wall thickness is even while the inner and outer wall surfaces are smooth without bubbles, cracks and other impurities. The product applies the standards like GB16897, GB/T7127, etc., and has passed China Compulsory Certification (CCC). It features low coefficient of expansion, strong weather resistance, high & low temperature resistance, etc. Passing the tensile test, bending test, high-temperature explosion test, salt spray test, etc., the product boasts high reliability and superior quality. The cleanness analysis system imported from France applies ISO16232 standard. The impurity content of raw materials is strictly controlled to ensure the quality of the materials. Pre-assembled maintenance-free rubber bushing with metal framework improves the rigidity of the bushing. The fluorine rubber has the best balanced performance among various oil seal rubber, which is suitable for being used in a variety of complicated work conditions. Compared with butyronitrile, hydrogenated nitrile, silicon, ethylene, other rubbers and fibers, its overall performance is better, and its heat resistance, oil resistance, chemical resistance and elasticity are all enhanced. Choose excellent rubber materials that feature high temperature resistance, weather resistance, ozone resistance and cold resistance. The brush fin connected with stainless steel rivets and the support bar made of stainless steel ensure the elastic stiffness of wiper blade and can well clean the windscreen. After treated with phosphatization and electrocoating, the primer boasts stronger adhesiveness, better corrosion resistance and longer service life. Yutong always places the traffic safety as top priority, and chooses brand-name valve products at home and abroad so as to guarantee the reliability and durability of products and ensure a safe trip for passengers. World renowned brands It has gone through the life test of one million times, boasting high reliability, high precision and good stability. Advanced assembly line and strict off-line testing ensure the consistency and the best performances of products. With high-quality rubber as the material, the sealing parts have gone through over 20 stringent tests, such as acid, tensile, high and low temperature, aging, etc. to ensure the sealing property. With cast aluminum as the material, the housing features good sealing property, reliable quality and longer service life. Self-designed by Yutong, the spare parts well match with the design parameters and have good control reliability, thus guaranteeing the safety of whole vehicles. With imported packing cup, the clutch pedal featuring small stepping force and easy operation reduces the driving fatigue. With quenched and tempered 45# steels, the pushrod of slave cylinder boasts high hardness and good anti-corrosion performance. 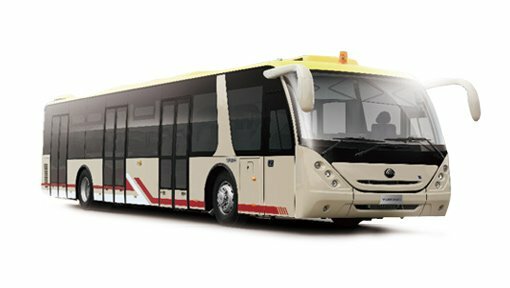 Self-designed by Yutong, the spare parts that well match with the design parameters of Yutong buses boast good control reliability, thus ensuring the safety of whole vehicles. The output force of braking chamber is smooth and durable, and can provide reliable and stable braking torque for vehicles. Compared with ordinary products, it boasts longer stroke, larger braking torque and lasting braking force. The brake chamber with internal respiratory structure solves the problems of impurities and mud appearance in the parking braking cavity of braking chamber, thus ensuring the reliability of parking brake. The ZAISi12 alloy is suitable for casting components with complicated shapes and parts with high requirements on corrosion resistance and air tightness. After oxidation treatment, the salt spray resistance of components can reach 128 hours. From procurement, inspection and storage of raw materials to sheet metal working, infiltration and surface passivation, the whole production process is strictly controlled to ensure the quality of products. With high-quality rubber as the material, the sealing parts have gone through over 20 stringent tests. Various rubber materials are adopted based on the location and application of the sealing parts so as to ensure the reliability of the sealing property. The plastic materials adopt advanced engineering plastics like ABS and POM while the moving parts adopt PEEK, the best wear-resistant plastics in the industry. 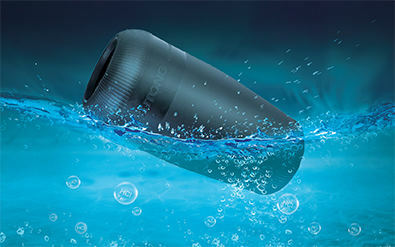 World renowned brands The diaphragm structure boasts good sealing property and reliable performance. The working temperature range is -40℃-80℃ which effectively ensures the safe and reliable operation of the braking system. Aluminum alloy parts are processed with imported die-casting equipments and advanced die-casting process that ensure the sealing property of materials and prevent the internal bubble from leaking. The surface is treated with chromizing process to prevent the valve body from corrosion and avoid the leakage. The galvanized surface of the pendulum has gone through rigorous salt spray test to ensure the strong corrosion resistance. Yutong suspension components use high-strength alloy steels. They boast light weight and high shear and bending strength which is over 2 times that of medium-carbon steels. The spare parts with longer fatigue life and more stable quality enable you to enjoy a worry-free journey. With high-strength spring steels, the anti-roll bar features high strength and high anti-torsion torque. High-strength shaft body and maintenance-free ball head offer you more convenience. Passing the professional strength test, the steering rod boasts higher reliability and longer service life. With alloy steels, the shear and bending strength of steel plates is over two times that of carbon steels and have longer fatigue life. High-quality high-strength bar body has gone through comprehensive intensified tests. It boasts maintenance-free property, large-stiffness ball joints, natural rubber vulcanization forming, light weight and high impact resistance. Under normal loading condition, it can be used more than 1 million times. The bar body and ball head which have undergone hot-rolled riveting and powder treatment, feature firm connection and have over five-years service life under normal use. With high-strength spring steels, it has passed the crack detection test, featuring high strength and good reliability. Pre-assembled maintenance-free rubber bushings with metal frame improve the stiffness of the ball joint assembly. The shaft core made of high-strength alloy steels is safer and more reliable. With upper and lower composite rubber bushings as well as reinforced oil seal inside, the shock absorbers have 3-5 times service life than that of ordinary ones, effectively reducing the operating costs. The parts specially provided by Yutong have undergone the durability test in Yutong experiment center. Under certain loading condition, the rubber bushing on the ends can bear more than 1 million times tests. Adopting high-quality spring steels and surface stress strengthening process, it is designed to match loading capacity of various Yutong bus models. It has undergone the fatigue test conducted at Yutong state-level experiment center with a test life of more than 80,000 times. The polymer leaf spring bushing can effectively solve problems of noise, fatigue, vibration resistance and so on. Tailor-made according to Yutong’s designed assembly parameters, it features good product consistency. The spring width and the specification of assembly holes are uniform that facilitate the assembly and maintenance. The steel bracket made of cast steel parts or forged parts is tested by magnetic crack detection test and treated with quenching and tempering, boasting high impact resistance and loading capacity. Yutong brake spare parts are made of high quality materials. 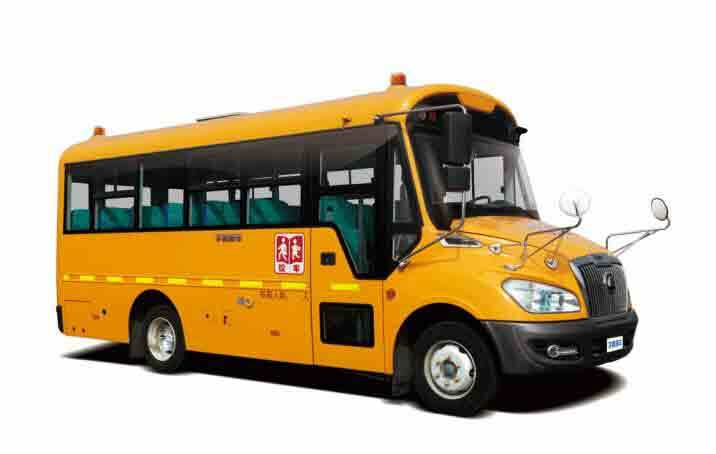 Its friction coefficient, braking distance and other technical indicators are superior to the industrial standards, thus effectively ensuring the braking safety and setting your mind at ease during the trip. Imported products with world renowned brands Under different conditions (high temperature, humidity, speed, pressure), it boasts stable friction coefficient and short braking distance, thus ensuring the safety of vehicles while braking. Adopting stable materials and composition ratio and treated with advanced processes, the brake discs feature long service life, thus reducing the operating costs. The products have gone through the bench test and have a super wear resistance. Its service life can reach over 100,000 km. The brake drum of Chinese well-known TR brand boasts high precision of surface machining and clear casting of words and trademark. In addition, the anti-fake code is also available. A number of metal elements are added in the raw materials with rational proportion that greatly improve the wear resistance, heat dissipation and crack resistance. High strength, stiffness and thermal capacity as well as high and stable friction factor of the friction plates improve the braking performance. The imported Raybestos materials featuring rational axial elasticity, soft connection, light weight and thorough separation can minimize the impact between transmission gears, avoid resonance and have low transmission noise. The friction materials are eco-friendly with small dust generation and free of harmful substances like asbestos so as to protect the health of maintenance people. The spring shock absorber with large angle friction device reduces the vibration of vehicles, protects the entire transmission system and decreases the gear noise. The brakes with renowned brands from home and abroad ensure the braking safety of whole vehicles. It features good brake stability, simple structure, good heat dissipation, quick response and short braking distance. Meanwhile, it is also waterproof and heatproof. 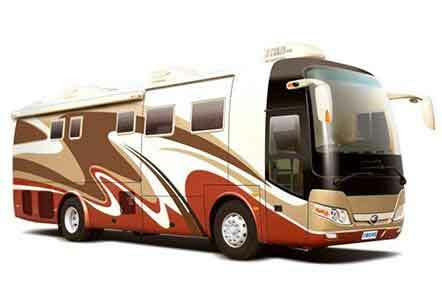 It boasts longer service life and lower maintenance costs. 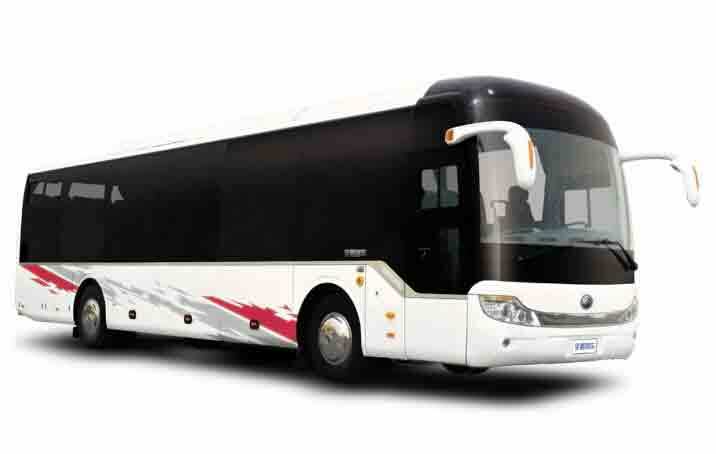 Matching different engines and clutches of Yutong buses, it features better performance. It boasts high machining precision, high strength, easy operation and long service life. It features light weight, large specific heat capacity and good heat dissipation. 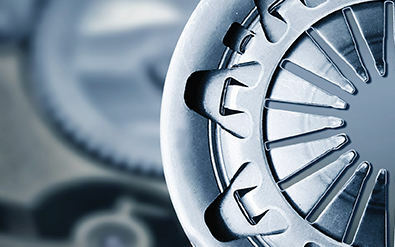 Casting clutch cover and firm clutch housing are not easy to deform. The imported diaphragm springs can provide greater pressing force under same dimension, and the pressing force stays almost unchanged even after being used for a long time. The clutch separating finger with hardening treatment on the top features stable quality and longer service life. Under different conditions (high temperature, humidity, speed, pressure), it boasts stable friction coefficient and short braking distance, thus ensuring the safety of vehicles while braking. Adopting stable materials and composition ratio and treated with advanced processes, the brake discs feature long service life, thus reducing the operating costs. The products have gone through the bench test and have a super wear resistance. Its service life can reach over 100,000 km. Assembled on an automatic assembly line, the inner and outer bearing bushes, rollers and holders of tapered roller bearings can be generated synchronously. Advanced design: high overlap factor, more precision meshing, high carrying capacity, smooth transmission and lower noise. 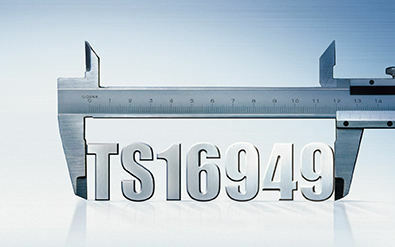 Advanced materials: special steels feature higher torsional strength. Advanced process: special treatment for surfaces, and higher service life against bending fatigue. With alloy materials, the bushing boasts light weight and high strength. Its fatigue strength and bending strength are far superior to that of ordinary materials. The bushing with coppering treatment on its surface features higher corrosion resistance. Being tested by salt spray test, it has a better adaptability in harsh environment. With specialized production line and industry-leading processes, the product appearance, geometric dimension and performance can all meet customers’ requirements. 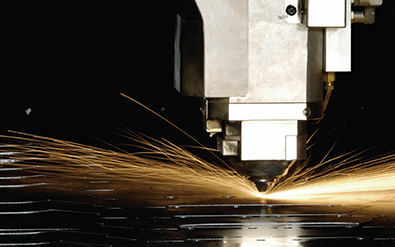 The whole heat treatment process is automatic controlled by computers. For each batch, the metallographic test and hardness test are conducted. During the machining process, the first inspection, in-process inspection and end inspection are conducted to ensure the stability of machining quality. With 20CrMnTi low carbon alloy as material, not only the surface hardness is higher than that of ordinary materials, but also the core strength and toughness are increased significantly. Unique design of the transition surface structure makes the stress distribution at the connecting position more uniform, featuring long wear-out cycle and good durability. With QT500-7 spheroidal graphite cast iron as material, the surface paint layer features even thickness and good toughness. Passing the professional adhesive force test and salt spray test, the surface adhesion property and corrosion resistance of the wheel hub become much better. Precise bolt hole positioning and strict control of roundness and wheel hub dynamic balance reduce the wobbling of vehicle at high speed so as to decrease the wear and tear of vehicles. Brand-name products boast service life of 1.4 million times under full load, which is three times than that of the ordinary relays. Solenoid valve with dustproof boot in the connections and imported valve seal can work normally for 3 million times under normal working environment without air leakage or air mixture. The valve body made of stainless steel or brass boasts explosionproof and waterproof performance and strong corrosion resistance. With advanced diaphragm type design, the maximum pressure can reach up to 6.0 MPa, featuring low temperature rise, no noise and zero leakage. German process features reliable quality, high frequency and quick responsive action. The fixing effect of the switch handle is excellent, featuring high reliability and segmented structure of special operation. The rotational force is estimated to reach 100N which is three times than that of ordinary products. Through strict control of the manufacturing process, the product quality is guaranteed. Each step of the process is strictly controlled, such as development, engineering, injection molding and assembling, so as to fundamentally ensure the quality and reliability of products. With high temperature and flame retardant materials, the product features better safety performance. The single-chip integrated circuit technology boasts simple handling and strong anti-interference performance. The imported stepping motor featuring good resistance to vibration and impact can still display precisely even in harsh environment. With VFD and TFT technologies, the problems of short service life and high power consumption of old bulbs are solved. With electronic mileage display featuring high precision and stability, the displayed information is more accurate, thus ensuring your driving safety. Imported anti-pinch switches and imported waterproof AMP connectors have a service life of over 8 years. The performance of electronically controlled components is stable and reliable, boasting precise and sensitive control, good vibration damping and superior impact resistance. 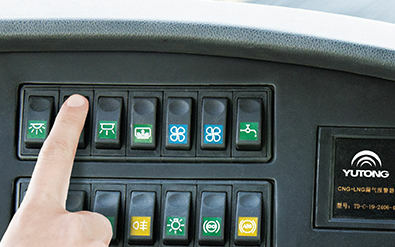 The service life is 1.5-5 times that of normal combination switches and reaches more than 300,000 times. The service life of high-end switches reaches more than 1,000,000 times. It features flexible switchover and accurate positioning. When the external force is not available, it can return to the original position automatically and accurately.